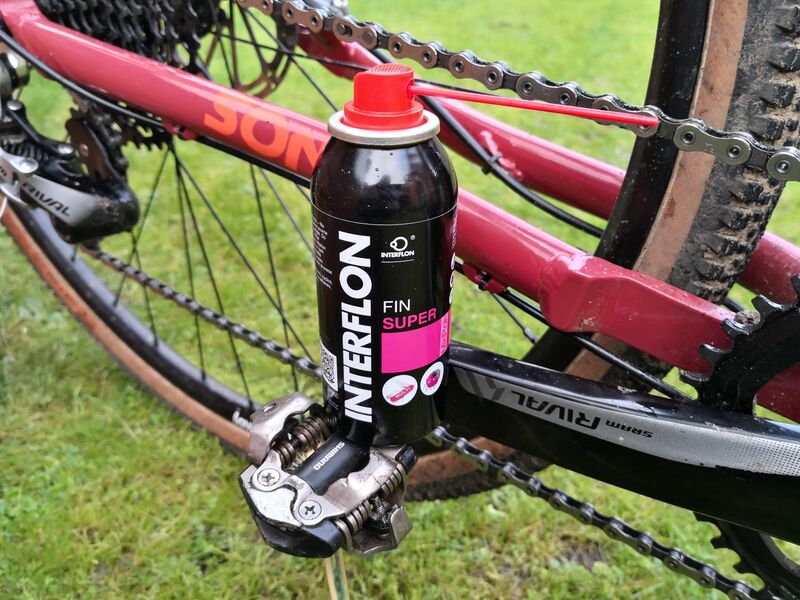 Interflon Fin Super Multi-Purpose Lube - ADVNTR. Interflon make lubricants for Industrial and Food Processing machinery. 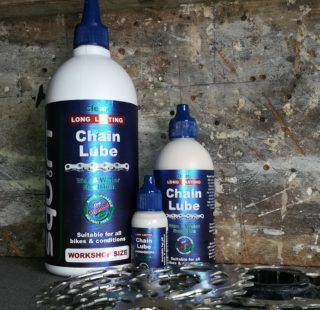 Among their line up of specialist products is Fin Super, a multi-purpose lube suitable for cycling, cleaning, lubricating and protecting. Once applied it leaves a dry film that won’t drip, stain or attract dirt and dust. Luckily for us the weather has run the full gamut of conditions over the test period and we’ve been able to try Fin Super both on and off-road. Fin Super comes in an aerosol like WD-40. It is made from a blend of Mineral and Vegetable oils and contains Interflon’s exclusive MicPol formula. It seems that MicPol (or Micro-Polarisation) means the lube is attracted to whatever it is applied to. This prevents it being wiped off or washed away easily. Fin Super has a working range between -43ºC and +170ºC. That’s adventures in the Arctic AND deserts covered then! Apparently, Fin Super will not damage rubber or plastic so a bit of overspray on your tyres won’t harm them. By displacing moisture it means there is no water to freeze up in icy conditions. That’s handy for cold rides, or where you finish the day at a bivvy spot! We tested Fin Super on both 2x and 1x transmissions, on sandy beach rides and typical UK gravel and road riding. On the beach and dirt rides, we did pick up some debris but nothing significant. I also used it for a wet and drizzly 200km road ride. Inevitably the chain finished with the usual grey film, but no squeaks or shifting issues. Once home, a quick spray and a wipe over with a rag was enough to clear the contamination and leave the chain clean. 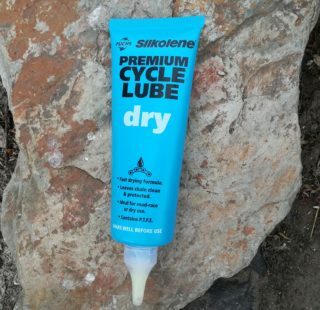 I also used it to lubricate the derailleurs and pedal mechanisms where it performed admirably and resisted the build up of dirt and grime. As a lube, Fin Super is easy to apply, resists dirt, and lasts in testing conditions. It works well on both chains and derailleurs and is light enough for general use and corrosion prevention. This makes it perfect for multi-day rides where carrying several products isn’t practical. One niggle is that the aerosol uses a ‘slot in’ straw which will inevitablyy go missing if packed for a ride. 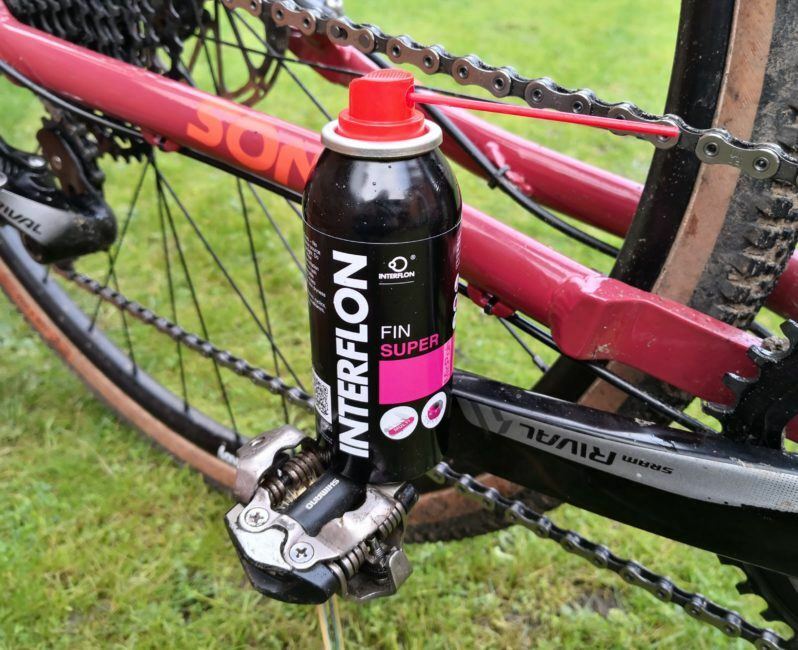 Interflon tell us they are looking into a more ride friendly dispenser. 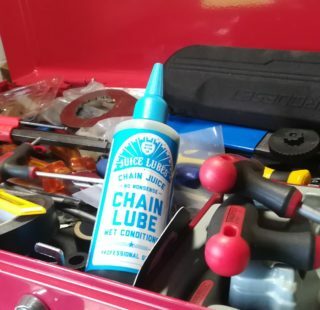 While Fin Super is among the most expensive chain lubes, there aren’t many that I would also use for other components.